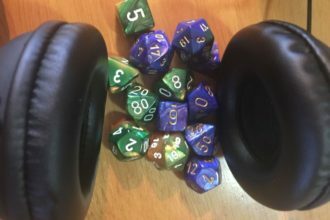 At Tribality, we’ve been interviewing some of the people who are behind all the awesome stuff that is being created for tabletop gamers – such as podcasts. I started listening to the One-Shot podcast over a year ago and added the Campaign podcast to my list when it came out. 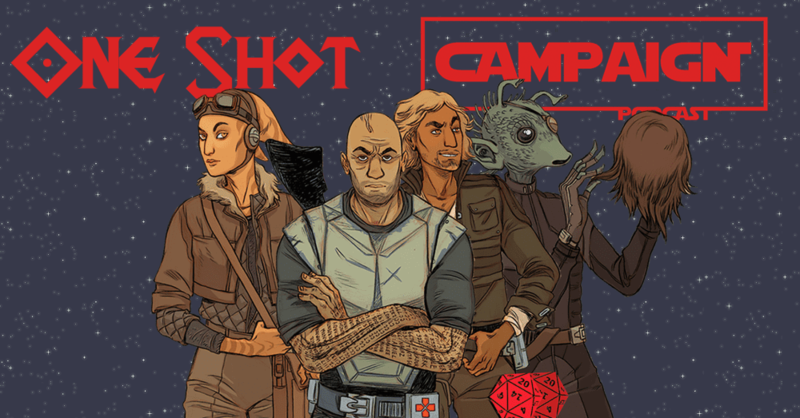 I am really excited to bring you an interview with James D’Amato and Kat Murphy co-creators of the One-Shot and Campaign podcasts and a game called Ephipany. If you love the podcasts they are creating as much as I do, visit their Patreon profile and support them. This interview offers a ton of advice for being a great player or GM, so enjoy! Shawn: Before we talk about gaming and your podcast, can you both tell us a little bit about yourself? James: Well I am a comedian currently living in Chicago where I studied improv at Second City and iO. I have been gaming for 9 years now and I like it a whole bunch. My favorite game is Feng Shui 2, I like story games more than trad, and I love kobolds. Kat: I’m a freelance writer and game designer also living in Chicago. I used to work in comics shops, and as such am fairly well rounded when it comes to nerdy pop culture nonsense. These days, I’m mostly interested in expanding the reach of tabletop gaming through James’ and my impending small press publishing company Paracosm Press. If he likes kobolds, then it’s pretty safe to say I love gnomes. Shawn: How did you first get into D&D and tabletop RPGs? Kat: Games have always been a pretty big part of my life. My family kept a consistent board game night for well over a decade, and was always introducing new games. I also was pretty into both fantasy and acting when young, so always wanted to try out that D&D thing cartoons would sometimes reference. I didn’t get a chance until around my second day of college when at a club fair someone asked if I wanted to play D&D. That’s all it took. I eventually became the president of that club, and have been bringing people into the hobby ever since. James: It’s not the usual story. I joined the introductory game for my nerd club in college because a young woman I had a crush on had just started playing and I figured it would be a good way to meet her. I actually asked one of my friends to step out so I could play. Regardless of my initial intentions, I came out of that game with a hobby I will enjoy for the rest of my life, several friends I’m going to have until I die, and a passion for something that is becoming a career. So, I guess you could say I started playing for the ladies. James D’Amato is secretly a fake geek boy. Shawn: Do you prefer being a gamemaster (GM) or a player? James: These days I lean more towards GMing, but I love both. I like that GMing gives you the freedom to create and play several characters. I also love playing with story structure and that is one of the GM’s coolest jobs. Kat: A deep cut on my personality is that I’m always pretty much just trying to tell the best stories possible. GMing gives me a level of control that makes telling good stories around a table more consistently possible. However, if I’m being honest, I prefer playing. I love writing, but the joy for me in reading as a child wasn’t wrapped up in the idea of writing. I read to live through the protagonist. Shawn: What are the benefits of having a background in acting/improv when playing a tabletop RPG? James: I don’t think I could possibly state the extent the full benefits of improv here. There are so many. It’s mostly because improv and role playing are essentially the same art form. There are probably a few improv authorities who would scoff at that, but I really believe it. Games are essentially heavily structured improv forms. I’d say the key benefit is learning how to listen. In improv you need to open yourself fully to your scene partner’s ideas. IT’s easy to focus on your own vision but if you collaborate you can be part of something amazing. If you can listen as a GM or a player you will be everyone’s favorite player at the table. Shawn: What advice would you give non-actors to become better at being in character? James: My best advice is to speak in character. You don’t need to do a voice or anything (though that helps.) Speaking in character grounds you. It helps you think in character and it encourages the whole table to roleplay. There are so many discussions about strategy, diplomacy, or what have you that people do out of character. Trying to resolve that in character will increase your immersion and it is way more fun. You don’t need to be an actor; you just need to be willing to play. Kat: I like James’ advice. I’ll add to it that you can’t play someone you don’t know. Some characters are just analogues of yourself, and that’s fine. For those characters who aren’t all that like you, do some prep work to get to know them. There are lots of lists out there of questions you should know about a character. Nab one and answer them. You’ll probably wind up knowing a lot more about your character than ever comes up in play, but it’s useful to have prep work around things like ‘How does my character react when surprised’ so when you’re inevitably surprised, you don’t have to wildly create before jumping in character. That variety of prep work will keep your characterization more consistent and natural. Shawn: When did you first take on the challenge of being a GM? How did it go? Kat: Gosh I don’t even remember my first game. The earliest that I can think of was a pathfinder game that I made to introduce new players to roleplaying in general. It took them from level one to ten over the course of a semester, and was more or less a fractured fairy tale of the Snow Queen. It went great! Teaching people is always a blast, and I had a stellar group of kids playing. I do remember being floored by how easy it was to trick my players into doing what I wanted though. I’d heard GM horror stories. I expected GM horror stories. But still I hoped and planned with the voracity of any new GM. I had all these plot points like “it would be cool if they befriended this backstabbing jerk,” that I never thought would pan out. But they fell for it. They fell for every single narrative trap I set for them. Boccob bless them all. James: It was a 3.5 game just before 4th edition came out. Kat and I went to a school full of hideous powergamers. 3.5 was and is broken. That’s why I loved it then and that’s why I love it now. For my first game I wanted to run a “build what you have always wanted to build,” game. I think that freedom spoke to my players. Instead of monsters with no personality, they made fascinating and likeable characters. We never finished it, but I loved that game. Fun Fact: All of the D&D-type fantasy episodes on the show take place in that setting. Shawn: Do you have any advice for a first time GM? James: Tons. I have a podcast designed just for this question. My best advice for here is to think about what is stressing you out and find a way to minimize that stress. You have to wear a lot of hats as GM, thankfully there are tools designed to take some of that burden off your shoulders. Playing out of a starter set or beginner box can cut down your prep time, and allow you to come to grips with the responsibility of moving the game for the party. Remember to listen to and buy into the ideas of your players. A lot of people step behind the screen because they have a grand opus game they want to run. That’s fine, so long as you are willing to let the 4-6 people sitting at the table be the most important people in that vision. Kat: Ask your players what they’re looking to get out of the experience. Different play styles can be pretty jarring when people come together without expecting them. If you know what your players are looking for, you can help make the experience fun for everyone without the risk of leaving someone out. While you’re at it, you should probably check in to see if there are any subjects that make anyone uncomfortable. You’re creating an experience with and for your friends. That experience doesn’t need to be polished from the start, but it shouldn’t wind up hurting any of them. Shawn: What is your favorite tabletop rpg to run right now (other than Epiphany)? James: Feng Shui and the newest edition Feng Shui 2 are my favorite games of all time. Mostly because Feng Shui is responsible for opening me up to a new and amazing gaming experience. If you have been playing d20 and only d20 a game like FS2 will blow your mind. Other than that I am big fan of Shadowrun, Phoenix: Dawn Command, and Dread. Shawn: How did you end up going from running games to recording the One-Shot podcast? James: I had been doing my improv show The Overshare with Alex Manich for a year on Peaches and Hotsauce. We are all big fans of the Earwolf network. Our wise and dedicated boss Pat O’Rourke started listening to Nerd Poker. He knew that I was a gamer so he asked me if I could develop something similar for Peaches and Hot Sauce. I liked Nerd Poker, but I felt it was limiting the scope of our hobby. Most people only know about D&D. This Hobby has been around for decades, it is a completely unique form of entertainment, and the only kind of roleplaying people know about is D&D. That’s even true for many people who play. In college, my passion for gaming really took off when I played Shadowrun, my first non-D&D experience. I learned that there are thousands of roleplaying experiences out there if you open yourself up to them. I wanted ONE SHOT to make gaming more accessible to a wider audience. I also wanted to show off the amazing stories that spin out of these games. I binged on actual play, and I found that most were enjoyable if you loved gaming but were difficult to approach if you didn’t. I knew our show needed good audio quality and strong performance ability to stand out from the rank and file D&D shows out there. So I got my best friend/gaming guru Kat Murphy alongside the talented performers at P&HS, and together we made ONE SHOT. Shawn: Do you have a favorite recording? The Scooby-Doo Cthulhu and Three Rocketeers are tops for me. James: Jerry Seinfeld was asked this about Seinfeld and he said “it’s like trying to name my favorite breath of air.” I really love Monsterhearts, InSpecters, Feng Shui, Legend of Five Rings, and everything we do on CAMPAIGN. Shawn: I was a fan of the Critical Success podcast. Where did it go? James: It’s not gone. I just need more time in the day. Critical Success is essentially audio essays. They take a lot of time to produce. Having to maintain a day job makes it difficult to produce everything I want to. I have a few episodes in my brain I just need the time to sit down and get them recorded. Shawn: What made you decide to add the Campaign podcast as a companion to the One-Shot podcast? Kat: I care about long form storytelling a whole bunch, have OPINIONS about how character development should be handled over the course of a campaign, and also am a pretty big radio drama nerd. I feel there wasn’t any decision. Campaign was just something that we were obviously going to get around to producing. I do remember around halfway though the first year on One Shot being frustrated that one-shots skew towards tropes and surface level characterization. There’s nothing wrong with those things. I love those things. But I felt that our attempts to showcase analogue gaming to an unfamiliar audience weren’t addressing issues like how to sustain a game long term. A Campaign is a different beast than a one shot, and it’s something more people are likely to engage in when they first start playing. I knew we’d need some top notch performers to draw listeners into the serialized show format, and am overjoyed by what Johnny O’Mara and John Patrick Coan have brought to the table. Shawn: What other podcasts are you on if people can’t get enough of you? James: Hahaha! Is three shows a week not enough!? I have done a few guest appearances on Cinema Jaw, Your Stories, Making New Friends, and The RPG Academy. You can also find me doing straight up improv comedy on The Overshare. Kat: My favorite recent guest appearances were on She’s a Super Geek, another actual play show runs by some wizard ladies, and Sailor Business, a Sailor Moon podcast that focuses on the 90s cartoon. Shawn: If someone is looking to branch out from D&D/Pathfinder and try a new game for their own one-shot, do you have any recommendations? James: It depends on what they like. What I want most out of ONE SHOT is for people to know that gaming isn’t just crunchy fantasy. If you have a genre that you love, there is a game for that. I think Feng Shui is a great game but it might not be great for everyone. If you can’t decide based on a genre think about what you love about RPGs and focus on expanding that experience. 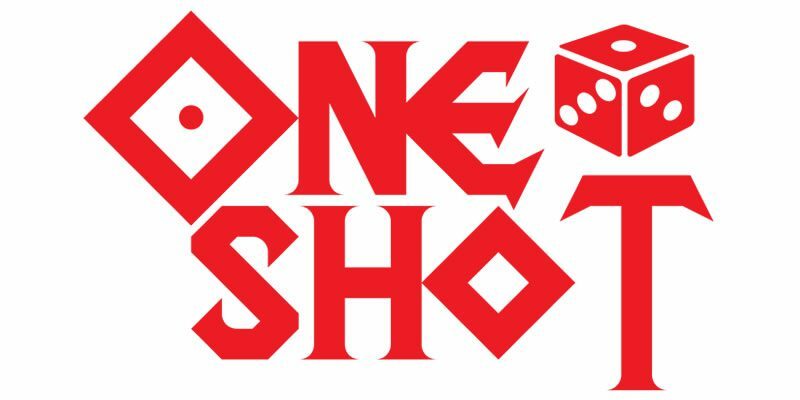 If you need help you can find me on twitter @oneshotrpg and I will help you out personally. Shawn: You both co-created your own game, Epiphany. What is Epiphany? James: Epiphany is a roleplaying game designed to emulate films like Groundhog Day, Stranger Than Fiction, and stories like A Christmas Carol. In Epiphany, there are three GMs who act as fates controlling the destiny of a single protagonist. It’s most definitely a story game. All the mechanics are concerned with dynamic character development. Kat: It’s the best. You’re going to love it. Shawn: How did you go from idea to playtesting Epiphany? James: I got the idea for the game after reading a fanfiction mashed up with Groundhog’s Day. I just kept thinking, “I love that movie, why don’t more games do that?” So I wrote up some rough rules and called Kat. Together we turned it into a game. Kat: James and I have been curious about multi-GM games for a long time. Before we knew of any games that had the mechanic, the movie Hot Fuzz had us imagining a game where everyone around the table was a secret GM except for one player. We thought it would be really cool to give one player that sort of focused attention, and have talked about how we’d do it on and off for years. When James called me up with the outline for Epiphany, I was pretty dang excited. Epiphany is giving us the chance to create a type of play experience we haven’t previously had access to. James: We still need to put out our public beta. There are some kinks that need to be worked out. Then Kat and I want to get 90% of the writing done before we take the game to Kickstarter. That is at least a few months work. Shawn: If someone has their own tabletop RPG idea, do you have any advice that might help them see their idea turn into a thing people are playing? James: The most important thing you can do for designing any game is be able to sum it up in three sentences or less. That will help you bounce ideas off people, and provide you clarity of vision in your design process. If your description starts “[blank] is a game where you can do anything,” start over because that describes every RPG ever. Try to precisely convey what you are doing in as few words as possible. Shawn: How do you think tabletop RPGs will evolve over the next 5 years? James: The market is in a fascinating growth period right now. Thanks to crowd funding and PDFs the publishing industry finally has a system that works for RPGs. I think print on demand services are going to become a lot more versatile as it becomes the most common way to deliver products. I expect Kickstater projects will have even more integration with retailers like DriveThru RPG. All that means we will see more games published and sold. There will be so much innovation in the marketplace of tabletop. I also think we will see a huge uptick in online play. Services like Roll20 and Virtual Tabletop will be some players only experience of RPGs. It will be easier than ever to find a group that you like and play. Stories of “that guy” at the table will start to disappear as people won’t be forced into groups that don’t match their temperament. I guess I see things looking up. Shawn: Is there a game (tabletop RPG or boardgame) that’s a hidden gem that GMs should run out and buy right now to play with their group? James: As for board games I really like the party game Slash, an Apples to Apples style game where you argue about the best fanfiction pairings. 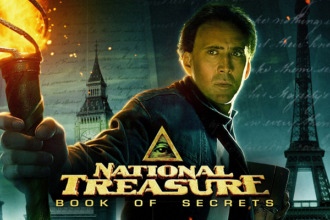 RPGs are actually trickier because I try to feature all the hidden gems on my show. I have played too many to list them all here. I think Dread is amazing and everyone should try it. Head Space is a really cool take on cyber punk. Shooting the Moon will be on the Show soon and I am very excited about it. Well that was awesome. Thanks so much to James and Kat for taking the time to provide such amazing answers for all of my questions. I’m going back to listen to ‘Feast Hall of Ash’ some excellent bonus content on the ONE SHOT podcast.